mikenov on Twitter: Бле(я)днолиц(с)ий, займись! by mikenov Tuesday January 31st, 2017 at 3:56 PM Mike Nova's Shared NewsLinks Review 1 Share Бле(я)днолиц(с)ий, займись! NEW YORK/FRANKFURT (Reuters) - Deutsche Bank has agreed to pay $630 million in fines for organizing $10 billion in sham trades that could have been used to launder money out of Russia, the latest in a string of penalties that have hammered the German lender's finances. Posted by mikenov on Tue Jan 31 18:53:45 2017. President Donald Trump will adjust a recent executive action to include CIA Director Mike Pompeo as a permanent member of the National Security Council after facing backlash for excluding the intelligence community from the meetings. "The president has such respect for Director Pompeo and the men and women of the CIA that today the president is announcing that he will amend the memo to add the CIA back into the NSC," White House Press Secretary Sean Spicer told reporters Monday. Trump on Saturday issued an executive memorandum changing the structure of the NSC to include his chief strategist, Steve Bannon, as a permanent member while removing the director of National Intelligence and the chairman of the Joint Chiefs of Staff from the group's list of regular attendees. DNI Dan Coats and the chairman of the Joint Chiefs of Staff, Marine Gen. Joseph Dunford, will now only attend the council's top-level meetings upon invitation. Spicer noted that the CIA had not been part of the NSC since 2005, when the DNI was established to oversee the nation's 17 intelligence agencies. Susan Rice, the national security adviser under the Obama administration, questioned in a Twitter post Sunday the exclusion of the CIA and the change of status for Coats and Dunford. The NSC is tasked with advising the president on national security issues and coordinates strategy with agencies that are represented on the council. The post Trump to Add CIA Director to National Security Council Amid Backlash appeared first on Washington Free Beacon. The New York Times reports that on Monday night President Donald Trump fired Acting Attorney General Sally Yates after Yates issued a letter to Justice Department employees instructing them not to defend the administration’s refugee ban, saying she was “not convinced that the executive order is lawful.” Yates, an Obama administration holdover serving as Acting Attorney General while Trump’s Attorney General nominee Jeff Sessions awaits confirmation, was dismissed with a strikingly personal letter from the White House declaring that Yates had “betrayed” the Department of Justice.Trump replaced Yates with Dana J. Boente, the U.S. Attorney for the Eastern District of Virginia, who promptly rescinded Yates’ order, calling the refugee ban “lawful on its face and properly drafted” and ordering Justice Department employees to defend it. Al Jazeera writes that the Iraqi Parliament has voted to call on the government to enact a reciprocal ban on U.S. citizens entering Iraq “in the event that the American side does not withdraw its decision.” The Iraqi Foreign Ministry has called on the Trump administration to review the ban, which they called a “wrong decision.” It is not clear if the proposed Iraqi ban would apply to U.S. military personnel. Government officials and diplomats are exempt from the U.S. ban. Foreign Policy tells us that Steve Bannon, Trump’s chief strategist, is taking control of the National Security Council now that he has a formal seat on the Principals Committee. Bannon is reportedly forbidding a paper trail at the NSC, instituting more stringent guidelines for handling and routing draft orders such as the refugee ban with the NSC largely cut out, and suppressing dissenting opinions. “He is running a cabal, almost like a shadow NSC,” according to one official. Politico reports that Trump is amending his memo on the National Security Council to add Mike Pompeo, the director of the CIA, back to the NSC. The move could create some friction between Pompeo and former Indiana Senator Dan Coats, who has been tapped to be the administration’s Director of National Intelligence. The DNI replaced the CIA Director on the NSC when Congress created the position of DNI in 2005. The Washington Post examines the “extraordinary” deportation record of Thomas Homan, who has replaced Daniel Ragsdale as acting director of Immigration and Customs Enforcement. Ragsdale stepped down from his position as acting director last night and will remain in his position as deputy director. CNN informs us that Canadian Public Safety Minister Ralph Goodale has stated that the suspect in the Quebec mosque shooting, Alexandre Bissonette, was a “lone wolf.” The attack killed six people and wounded five others. According to The Globe and Mail, Bisonette was a well-known right-wing online troll and a vocal supporter of Donald Trump and far-right National Front leader Marine Le Pen of France. The second alleged attacker of the mosque has now been designated as a witness by Canadian Royal Mounted Police. Reuters reports that Trump is expected to sign an executive order on cybersecurity later today, which is expected to commission several reviews of offensive and defensive cyber capabilities, seek input on protecting critical infrastructure, and review government efforts to attract and train a technically sophisticated workforce. A draft of the executive order was leaked by the Post. Lawfare has more here. Two Russian intelligence officers have been charged with treason for “working with the CIA,” The Guardian reports. News of the FSB officers’ arrest leaked last week along with reports of the arrest of Kaspersky Lab leader Ruslan Stoyanov. It remains unclear to what extent the FSB officials are linked to the Russian interference operation in the presidential election. The Journal informs us that the Czech Foreign Ministry said that its email system was hacked by an external government in a manner similar to the DNC hack last year. The Czech government is one of Europe’s most vocal opponents of Russia, and its interior ministry has accused Russia of leading a disinformation campaign to turn Czech citizens against NATO. The Czech National Security Authority is looking into the scale of the attack. The Journal also tells us that Yemen’s Houthi rebels launched a rare suicide attack on a Saudi frigate in the Red Sea, killing two crew members and leaving three others wounded. Three suicide boats struck the frigate as it patrolled the Hodeida port on Yemen’s western coast. In an update on the first military raid of the Trump administration, NBC News writes that the raid was ordered by Trump, rather than being a holdover from the Obama administration. “Almost everything went wrong,” according to one official. Defense Secretary James Mattis, who was forced to leave a social event to deal with the repercussions, released a statement identifying the slain Navy SEAL as Chief Petty Officer William “Ryan” Owens. Nawar Anwar al-Awlaki, the eight-year-old granddaughter of Yemen’s former agriculture minister, was among the noncombatants killed in the attack. Benjamin Wittes, Susan Hennessey, and Quinta Jurecic provided the full text of the draft State Department dissent channel memo on President Trump’s refugee and visa executive order. Paul Rosenzweig pointed out an unintentionally ironic response by the Trump administration on its refugee executive order that is reminiscent of an Obama administration immigration policy. Daniel Byman argued that Trump’s refugee policy will increase terrorism, which in turn will help Trump. Charley Snyder and Michael Sulmeyer assessed a purported draft of President Trump’s first executive order on cybersecurity, and examined some of the important provisions of the FY 17 NDAA as they apply to DoD cyber operations. Caroline Lynch summarized the high-level issues that Congress can address in ECPA reform besides the warrant-only standard. Quinta flagged former Acting Attorney General Sally Yates’ letter announcing that the Justice Department would not be enforcing Trump’s refugee ban. Jack Goldsmith shared his thoughts on why Yates’ reasons for not enforcing Trump’s refugee ban were weak and unpersuasive. Ben argued that Yates should have resigned rather than refuse to enforce the order. Susan, Jane Chong, and Chris Mirasola assured those concerned that based on their reading of the relevant statutes, Acting Attorney General Dana Boente can issue FISA applications. Email the Roundup Team noteworthy law and security-related articles to include, and follow us onTwitter and Facebook for additional commentary on these issues. Sign up to receive Lawfare in your inbox. Visit our Events Calendar to learn about upcoming national security events, and check out relevant job openings on our Job Board. По результатам экстренного совещания Организации по безопасности и сотрудничеству в Европе, страны-участники обратились к Российской Федерации с призывом соблюдать режим тишины в зоне АТО. 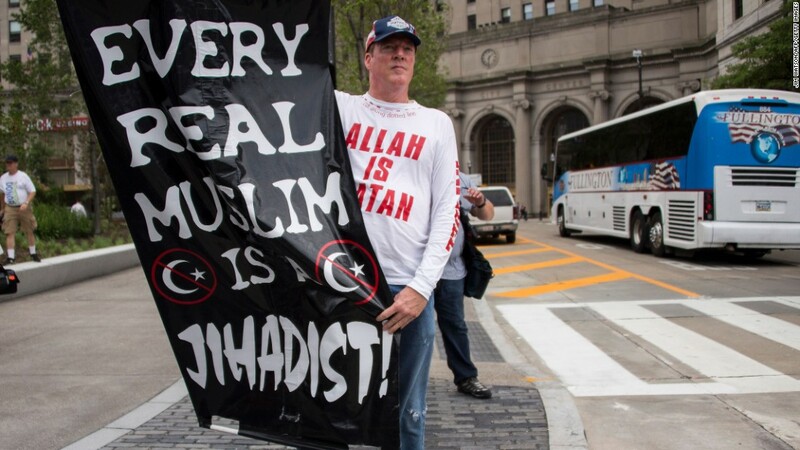 President Trump's chief strategist, former Breitbart executive Steve Bannon, once dismissed the notion that Islam is a religion of peace, describing it in a 2010 radio interview as "a religion of submission." Deutsche Bank has been fined more than $630m (£506m) for failing to prevent $10bn of Russian money laundering and exposing the UK financial system to the risk of financial crime. The UK’s Financial Conduct Authority imposed its largest ever fine – £163m – for potential money laundering offences on Germany’s biggest bank, which it said had missed several opportunities to clamp down on the activities of its Russian operations as a result of weak systems to detect financial crime between 2012 and 2015. 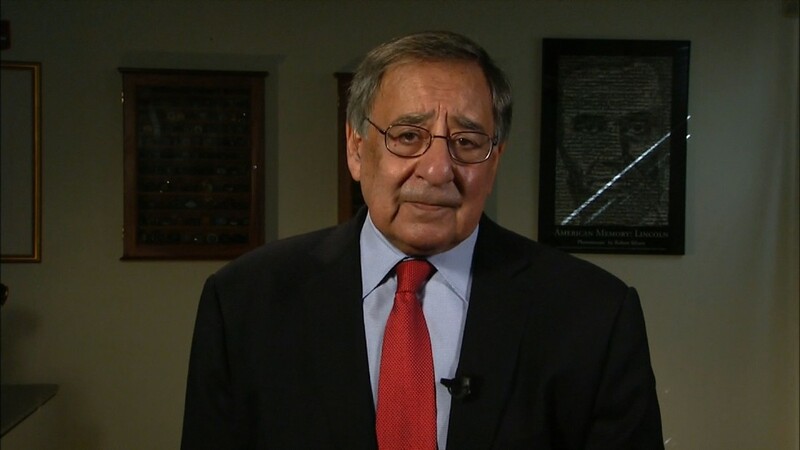 President Donald Trump's travel ban increases the possibility of an attack on America, former CIA Director and US Defense Secretary Leon Panetta told CNN's Christiane Amanpour. Washington (CNN) An executive order protecting federal employees from anti-LGBTQ discrimination that was first signed in 2014 by President Barack Obama will continue under President Donald Trump, the White House said Tuesday. "President Donald J. An executive order protecting federal employees from anti-LGBTQ discrimination that was signed by President Barack Obama in 2014 will continue to be in effect in President Donald Trump's administration, the White House announced Tuesday. Столетие со дня рождения знаменитого театрального режиссера, основателя Театра на Таганке, народного артиста РФ Юрия Любимова будут отмечать целый год. Сама дата приходится на 30 сентября. Однако уже прошла пресс-конференция, посвященная презентации мероприятий под названием "Век Юрия Любимова". After provocations from President Donald Trump, Mexican President Enrique Pena Nieto canceled a scheduled US visit. Although people in Mexico have shown support for the move, the mood in the country is bad. Грузовой космический корабль «Прогресс МС-03» затоплен в Тихом океане, сообщил ЦУП. Это произошло в 21.24 мск, передает «Интерфакс». Грузовик «Прогресс МС-03» пристыковался к МКС в июле 2016 года. Он доставил на станцию более 2,4 тонны различных грузов, в том числе топливо, воздух, кислород, продукты питания, оборудование для поддержания функционирования станции и посылки для членов экипажа. Тысячи гомосексуальных и бисексуальных мужчин, осужденных за сексуальные контакты с мужчинами в Англии и Уэльсе, были посмертно помилованы. WASHINGTON (Reuters) - When Donald Trump's administration put together its controversial executive order on immigration, it was Steve Bannon – the populist firebrand fast emerging as the president's right-hand man – pushing a hard line. 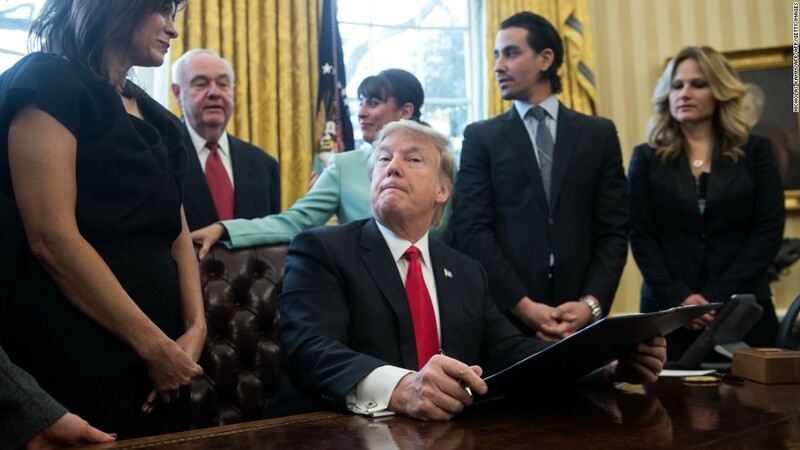 On Sunday evening, as protests and condemnations proliferated of President Trump’s executive order limiting immigrant and refugee entry into the United States, the administration quietly released a National Security Presidential Memorandum reorganizing the National Security Council. The memorandum is summarized here. As John Bellinger noted, the memo includes Assistant to the President and Chief Strategist Steve Bannon, as a member of the NSC and the Principals Committee. The CIA Director is not among the members or invited participants of NSC or NSC Principals Committee meetings (though the Director was not specifically listed in the Obama administration’s guidance on NSC structure either; notably, the White House has promised to rewrite the memo to include the CIA Director after facing criticism on this point). Additionally, the memo situates the Director of National Intelligence and the Chairman of the Joint Chiefs of Staff attending the Principals Committee only “where issues pertaining to their responsibilities and expertise are to be discussed,” though the scope of this last provision is unclear. The membership roster sparked criticism from former and current governmental officials. Below are a few notable responses. We will be updating this post as more come in. How will the administration make decisions? How much of the center of gravity will be in the White House or out there in the departments and agencies? The executive order on the National Security Council … seems to suggest that the real power center is going to be in that 18 acres in downtown Washington, and not out there with those talented people in the departments and agencies. Adding people to the National Security Council never really bothers me. My biggest concern is there are actually, under the law, only two statutory advisers to the National Security Council and that's the Director of Central Intelligence, or the DNI, and the Chairman of the Joint Chiefs of Staff. I think pushing them out of the National Security Council meetings, except when their specific issues are at stake, is a big mistake. I think that they both bring a perspective and judgment and experience to bear that every president, whether they like it or not, finds useful. “The last place you want to put somebody who worries about politics is in a room where they’re talking about national security,” said Leon E. Panetta, a former White House chief of staff, defense secretary and C.I.A. director in two Democratic administrations. unprecedented, both putting a political adviser on, and unprecedented taking off the Chairman of the Joint Chiefs and the DNI. I have never been to a principals’ meeting where the views of the DNI and the views of the Chairman are not relevant. Every principals’ meeting starts with an intelligence briefing by the DNI. And having somebody like Bannon in the room brings politics into a room where there should be no politics. I am worried about the National Security Council, who are the members of it and who are the permanent members of it. The appointment of Mr. Bannon is something which is a radical departure from any National Security Council in history . . . And the role of the Chairman of the Joint Chiefs of Staff has been diminished I understand with this reorganization. The one person who is indispensable would be the Chairman of the Joint Chiefs of Staff in my view. So it's of concern this, quote, reorganization. 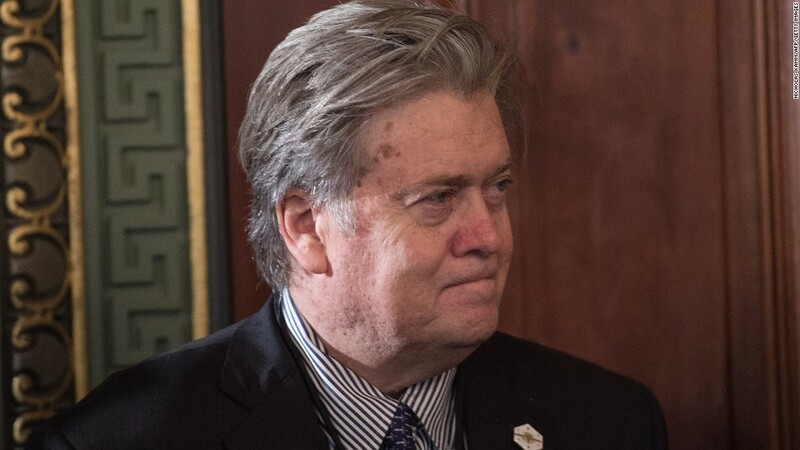 Bannon ... does not have the expertise that the director of National Intelligence or the chairman of the Joint Chiefs of Staff have and this is entirely inappropriate … I am very surprised, disappointed and very much disagree with the president's decision to restructure that important committee. WASHINGTON (Reuters) - In a break with his party's traditional stance on gay rights, Republican U.S. President Donald Trump vowed on Tuesday to uphold protections for lesbian, gay, bisexual and transgender people working for federal contractors. President Donald Trump said his new executive order on immigration and refugees is targeted squarely at "radical Islamic terrorists." The program known as EXOPS"was devised by the Obama administration last fall. Жертвами обстрелов самопровозглашенной Донецкой народной республики со стороны украинских силовиков во вторник стали три человека, еще семь получили ранения, сообщил заместитель командующего оперативным командованием ДНР Эдуард Басурин. 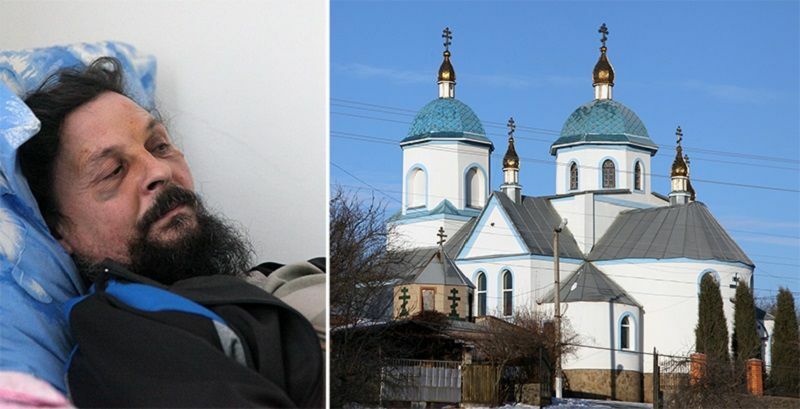 Он уточнил, что погибли двое ополченцев и мирная жительница, ранения получили шестеро ополченцев и один мирный житель, передает РИА «Новости». Напомним, в последние дни украинские силовики усилили обстрелы Донецка и предприняли шесть попыток прорыва позиций ополчения на мариупольском и донецком направлениях, три из них во вторник. При этом президент Украины Петр Порошенко поручил организовать переговоры трехсторонней Контактной группы. В ДНР эти предложения назвали «пиаром на крови». Отметим, что вину Киева в участившихся обстрелах, по данным СМИ, признает даже официальный Берлин. BEIRUT (Reuters) - A U.S.-backed alliance of Syrian militias said on Tuesday it saw signs of increased U.S. support for their campaign against Islamic State with President Donald Trump in office, a shift that would heighten Turkish worries over Kurdish power in Syria. Netanyahu tweets like Trump. Great idea! (Reuters) - Benjamin Netanyahu doesn't just appreciate Donald Trump's politics. He is starting to sound like him on Twitter. There are of course very powerful reasons to want to help protect the many thousands of civilians who are suffering from the internal armed conflicts in Syria (and Yemen). Nevertheless, the hurdles to creating “safe zones” are significant. Some already have identified policy resistance within the Defense Department, which the White House has ordered (along with the State Department) to produce a plan for safe zones by the end of April. Lawmakers also likely are not enthused about deploying more U.S. troops on the ground in the Middle East, something a safe zone likely would entail. Yet others have worked through how international humanitarian law treats safe zones and raised a variety of practical questions to ask and resolve before deciding whether and how to proceed. But none of these actors have noted the serious problem that could arise under the U.N. Charter if the United States or other states tried to establish these safe zones inside Syria without Assad’s consent. I wrote about this previously when the idea of creating a “buffer zone” over a part of northern Syria was on the table in 2014. If the basic idea this time around is to take over a small part of Syria’s territory to create a protected zone into which refugees could come and be safe from the violence, the states creating the safe zone will almost surely run afoul of the prohibition on the use of force under Charter article 2(4) unless they have Assad’s consent. Taking control of part of another state’s territory in this context—even for purely humanitarian purposes—is very difficult to justify under a self-defense theory, particularly where the safe zone is not immediately adjacent to the fighting with ISIS. And although the U.N. Security Council conceivably could decide to establish such a zone under Chapter VII over Assad’s objection, Russia surely would veto such a resolution. Thus, those crafting options for the President should push hard for plans that either create safe zones consensually on the territory of Syria’s neighbors (e.g., Turkey) or that extract consent for the zones from Assad (with the strong urging of Russia, perhaps). Indeed, Russian Foreign Minister Lavrov has said that safe zones might be possible, but only with Assad’s consent. The United States should pursue one of these alternate avenues rather than trying to establish a safe zone in Syria without such consent. BAGHDAD (Reuters) - Iraq will not retaliate to U.S. President Donald Trump's travel ban against Iraqi nationals because it does not want to lose Washington's cooperation in the war on Islamic State, Prime Minister Haider al-Abadi said on Tuesday. Кавказ Online: Глава МИД Армении призвал Азербайджан "не вешать лапшу на уши"
Hookah smoke drifted through the restaurant as Elias Shetayh and Aziz Wehbey spoke intently about their support for President Donald Trump, whose temporary halt on immigration from war-torn Syria - their homeland - had touched off a political firestorm. Will Trump's Putin alliance help in fight against ISIS? The European Council head warns the administration may reverse 70 years of US foreign policy. Just days after Baku's Court for Serious Crimes handed down lengthy prison terms to 18 men charged with plotting a coup d'etat at the behest of Iran, the unequivocally pro-Western political movement ReAl (Republican Alternative) has been accused of agreeing to collaborate with, and accepting funding from, Iranian diplomats. Speaking at a press conference Tuesday afternoon, Kelly insisted that the order put in place last Friday by Trump is not the Muslim ban that the president promised on the campaign trail. He labeled it a “travel ban” that temporarily impacts a specific set of countries. The immigration restrictions have caused a furor nationwide, with many Democrats and some Republicans strongly condemning the executive order. Late Monday, Trump fired acting attorney general Sally Yates after she refused to defend the sweeping restrictions. At the press conference on Tuesday, Kelly promised to carry out the executive order "humanely" and "in accordance with the law." "We cannot gamble with American lives. I will not gamble with American lives," Kelly said. "These orders are a matter of national security. It is my sworn responsibility as secretary of homeland security to protect and defend the American people. And I have directed departmental leadership to implement the president's executive orders professionally, humanely, and in accordance with the law." BEIRUT (Reuters) - The U.S.-led coalition against Islamic State has boosted support for its Syrian allies since President Donald Trump took office, supplying armored vehicles for the first time as they prepare to launch a new phase in their campaign for Raqqa, a spokesman for the militia said on Tuesday. The force, known as Ex-Ops, was devised by the Obama administration last fall. Anthony Scaramucci has gone from slamming Donald Trump on Fox to becoming a key conduit between the new president and the business world.